Sapphire today rolled out a trio of graphics cards based on ATI's latest chips, the Radeon X1900 XT 256, X1650 Pro and X1300 XT, but more interesting is the company's ADD2 card - a x4 PCI Express card that connects a desktop PC's integrated graphics engine to a DVI port. Sapphire said the part requires the presence of an Intel 915G or 945G chipset, or ATI's RC410. Boards based on those chipsets must also have a spare x16, x8 or x4 slot. 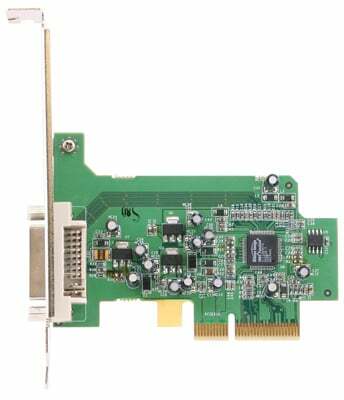 With the card in place, systems can connect to DVI-D display devices running at up to 1,600 x 1,200. Sapphire's board joins a couple of ADD2 boards on the market from Molex and Prolink that bring DVI and even HDMI ports to integrated graphics-equipped systems. Many are sold to bring such PCs up to Viiv standard.